Centered in Georgia's rich red clay are old mansions, family farms, literary giants, contemporary art and crafts, and landmark sites. This remarkable area has been designated as the state's Historic Heartland. The Heartland Trail rolls through small towns and cities. So a road trip is the way to go. 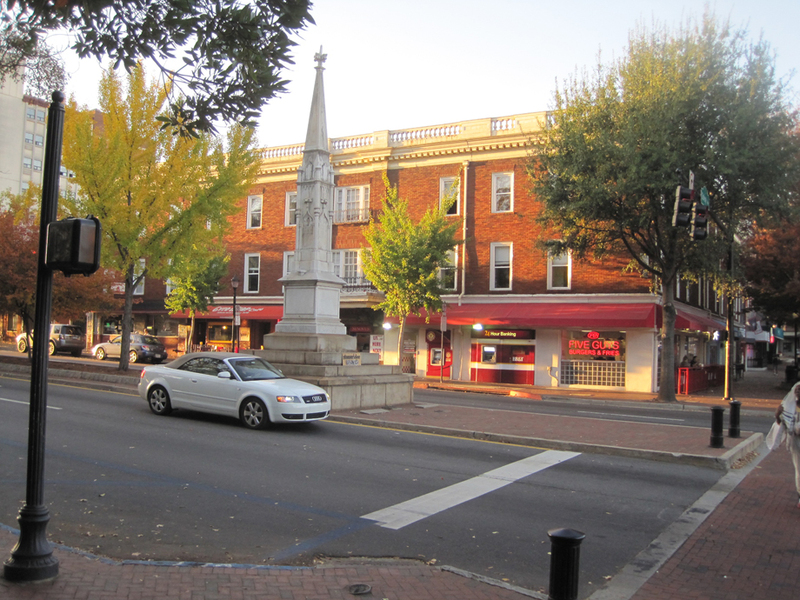 Athens is a college town. Begin your journey in Athens, home of the University of Georgia (UGA). Most college cities keep up with the latest trends, so expect to find "funky" shops, an organic and locally-sourced food movement, avant-garde and traditional art, cool music venues and a smoking-hot nightlife. The Georgia Museum of Art, found on the campus of UGA, also finds itself in the same league as many world-class art museums. Its galleries contain stellar examples of American and international masterpieces. Within its focus of 19th and 20th century American painters are works by James Whistler, Winslow Homer, Georgia O'Keefe and Jackson Pollock. The collections of international art feature important artistic periods in Europe and Asia. Especially impressive is the Green Center that showcases one of the country's finest decorative arts grouping. The easiest way for foodies to scope out the best edibles and spirits in town is to join the Georgia Food Tour (www.exploregeorgia.org) that walks you through different neighborhoods in order to discover the places where locals dine and purchase their foodstuffs. On the downtown tour you may end up at Creature Comforts Brewery (www.creaturecomfortsbeer.com) just as the evening crowd is filling the enormous space. 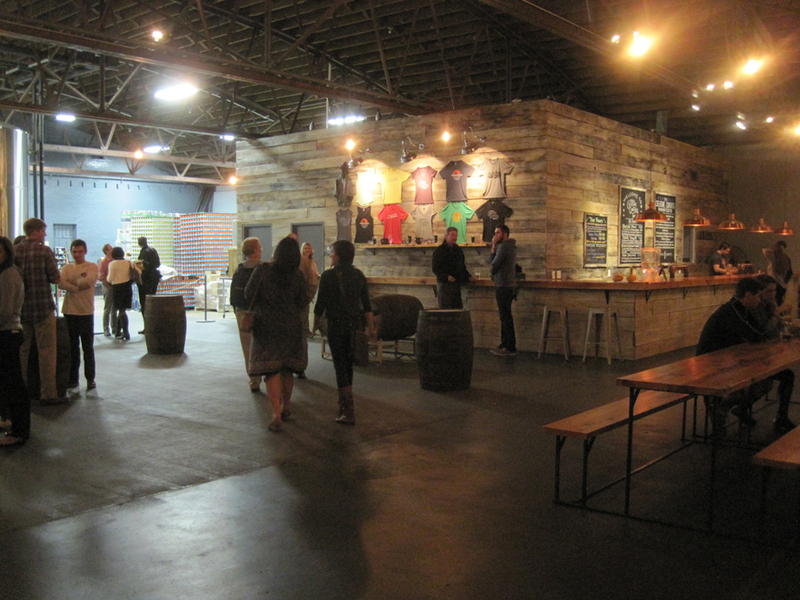 Owners David Stein and Adam Beauchamp founded the brewery, and housed it in a renovated car dealership. After imbibing their year-round craft brews, be sure to check out the seasonal offerings at the tasting bar. Watch the artisans at Happy Valley Pottery create. The active art scene in Watkinsville has been dubbed, "Georgia's Artland." Oconee Cultural Arts Foundation (www.ocaf.com) promotes work by local artists. Housed in a former high school built in 1904, it has become a staple in the community for more than two decades. In addition to exhibitions and cultural events, it provides extensive classes and workshops in the visual and performing arts and crafts to students all ages. 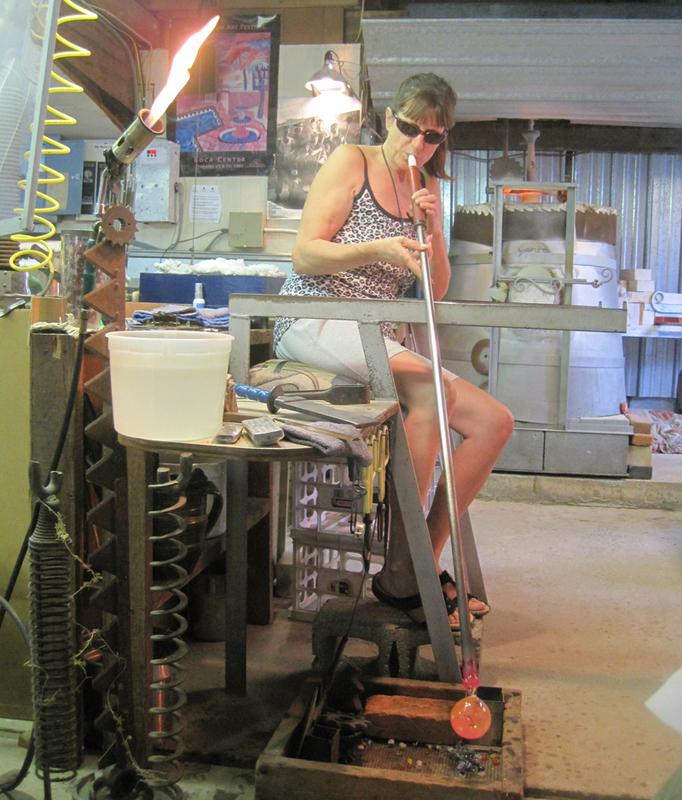 You'll find professional glassblowers and potters working at Happy Valley Pottery. Jerry and Kathy Chappelle (www.chappellegallery.com) invite visitors to watch as artists create, and everyone is happy to chat with you about their work. The on-site gallery and gift shop is located in the historic Haygood House, and displays a variety of crafts by local artisans which includes jewelry, fiber art, wood, glass and more. Heritage Hall is Madison's most popular attraction. Budget Travel Magazine has named Madison as "one of the 16 most beautiful towns in the world." General Sherman traveled on a road south of there, thus saving the town from incineration. Because of this fact, Madison has the most antebellum structures in the South. Brake at Madison's most popular attraction, Heritage Hall, an 1811 Greek revival mansion, where you'll find the Madison-Morgan County Historical Society. On your tour through the building, you'll view authentic furnishings and artifacts. Down the street is an 1895 Romanesque revival building, a former public school, which serves as a facility for the performing and visual arts. Carriage tours are a perfect way to see Madison's antebellum architecture. Check at the Madison Welcome Center for information. 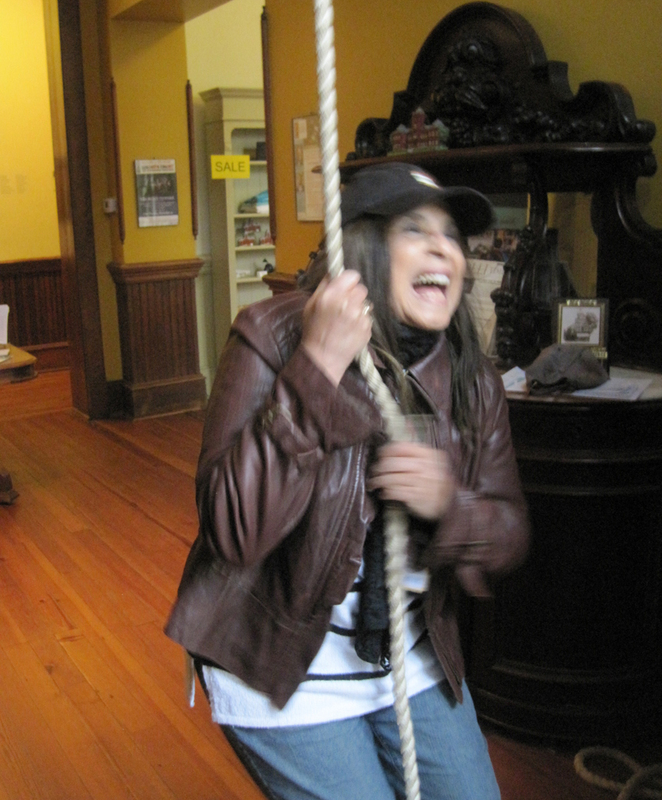 The author rings the bell at a former schoolhouse in Madison. One of the most interesting and fun experiences happens in Madison when you meander with FARMeander (www.mmcgeorgia.org). It allows a peek into working farms, a cattle ranch, a guest ranch and orchards. You can download a map for self-guided tours at mmcgeorgia.org. 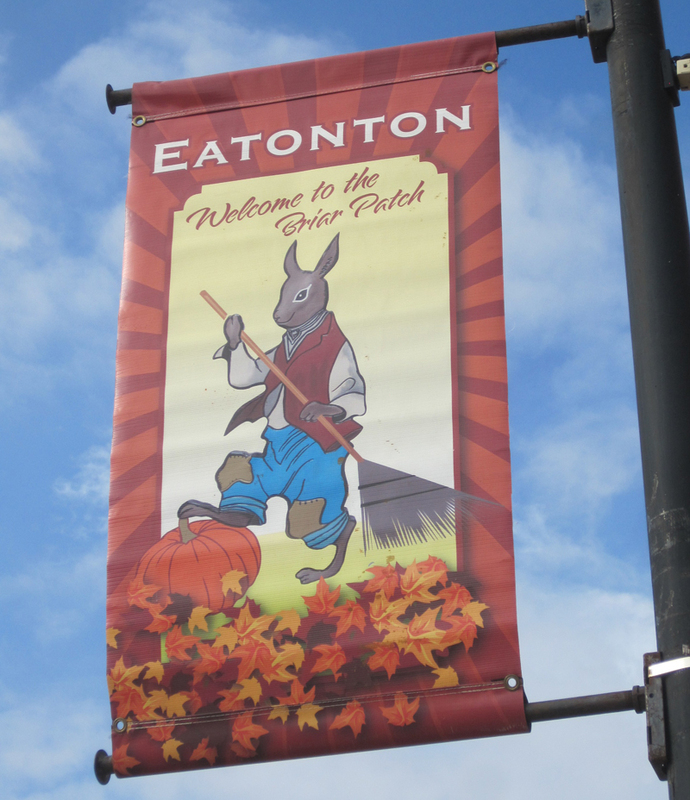 Eatonton is the home of Brer Rabbit. Readers of all ages will enjoy Eatonton. Set in a grassy square park is the Uncle Remus Museum (www.uncleremusmuseum.org), a rustic structure fashioned by joining together three slave cabins. Inside you can stand by a replica fireside hearth where Uncle Remus spun those charming African folk tales to a young Joel Chandler Harris. The teenager had been hired by Joseph Addison Turner who printed a newspaper at his plantation. It was later when Harris, while working as a journalist for the Atlanta Constitution newspaper, began publishing those stories. Within the museum are foreign and first editions of the Uncle Remus books, stills from Disney's movie, A Song of the South, photos, dioramas and period objects. A docent will give you a lively recounting of Uncle Remus, the museum and Harris' life. 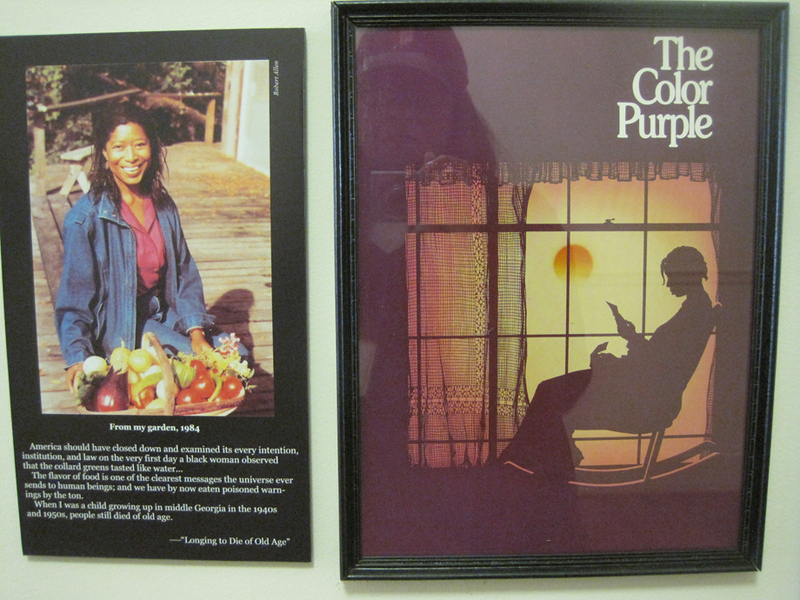 Learn about Alice Walker at the Georgia Writers Museum in Eatonton. Among the South's literary superstars are Alice Walker (who wrote The Color Purple,) and Joel Chandler Harris, both natives of Eatonton. 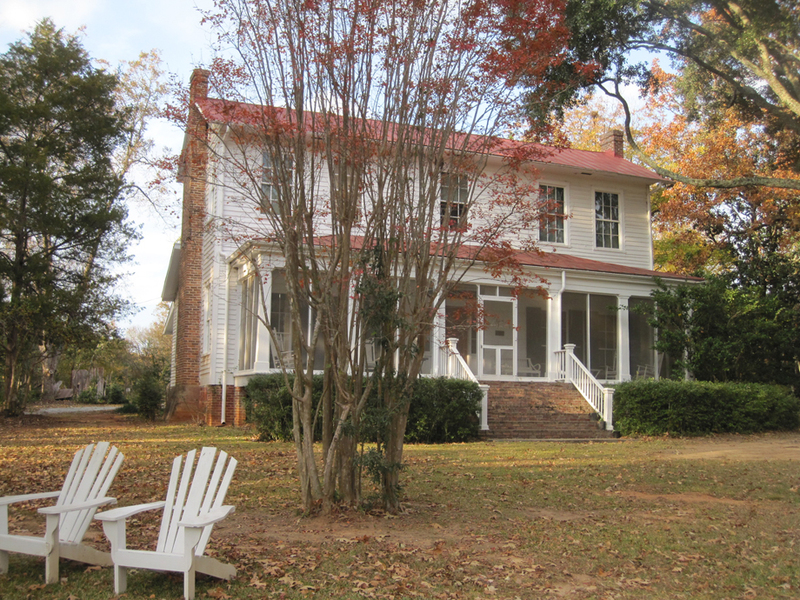 Author Flannery O'Connor hails from nearby Milledgeville, where you may tour her home and farm, Andalusia. 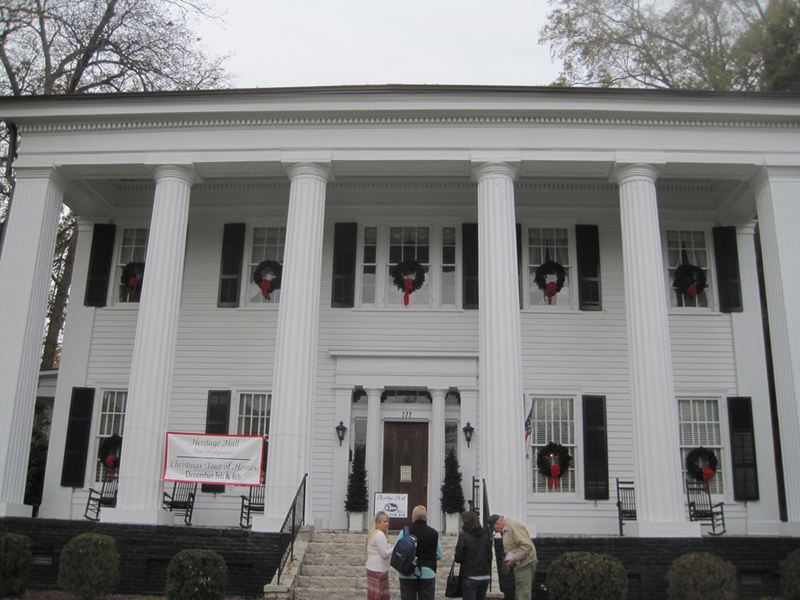 The Georgia Writers Museum (www.georgiawritersmuseum.com) commemorates their artistic achievements with displays of their books, photos, letters and personal items. The museum also promotes other Georgia writers through book signings, readings and book sales. Known as the First Lady of Georgia, Milledgeville (www.visitmilledgeville.org) flounces her southern charm through gracious 19th century architecture. On the Historic Walking Tour map, you'll discover 44 buildings of note. Less hardy visitors are encouraged to ride the guided trolley or drive their car. Not much has changed at Andalusia, author Flannery O'Connor's farm. However you choose to see the town, don't miss exploring the splendid Old Governor's Mansion which is a designated National Historic Landmark. Tall white columns reveal its Greek revival style which was in vogue when construction began in 1839. Governors resided there for 30 years while Milledgeville was Georgia's fourth capital. In 2001, a massive and historically correct restoration began returning it to its antebellum grandeur. With the work now completed, guided tours are available. 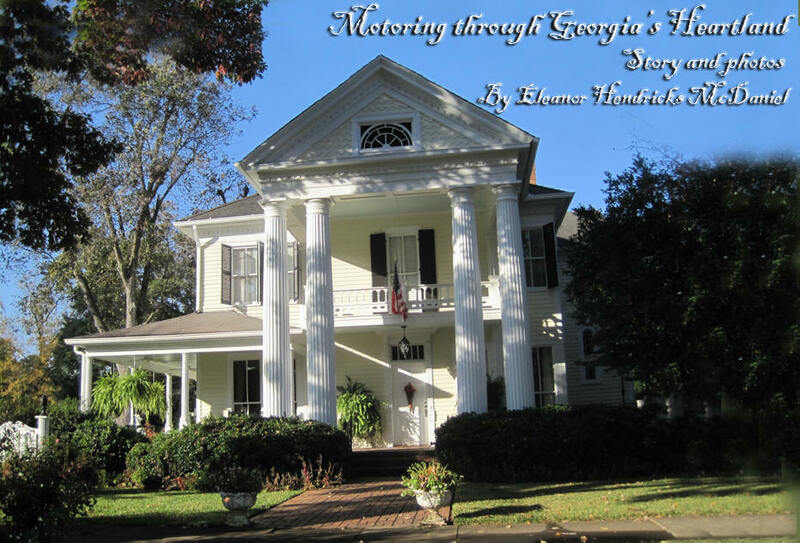 The title image is the Old Governor's Mansion when Milledgeville was the fourth capital of Georgia. For more information on Georgia's Heartland, go to www.ExploreGeorgia.org.